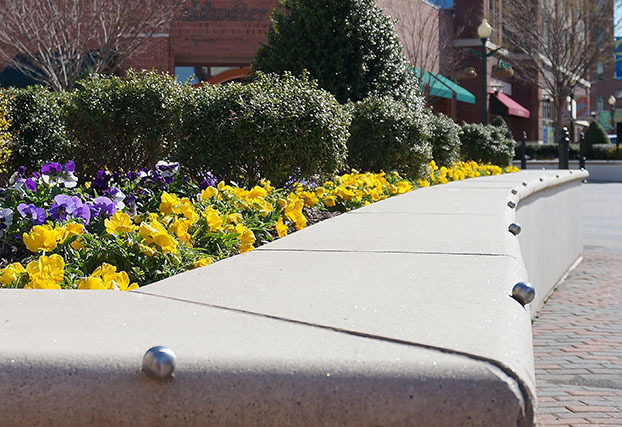 Stop skateboard damage with solid stainless steel GrinderMinders™– attractive, durable, well designed skateboard deterrents that keep quality and style in mind. We offer different finishes to suit your needs. In addition, we can custom make pieces in your choice of materials. Don’t settle for industrial designs that are easily removed when you can have GrinderMinders™ . Made in America with pride. GrinderMinder, original sphere in stainless steel or black oxide. GrinderMinder, Cylinder in stainless steel. GrinderMinder, Hemisphere in stainless steel. 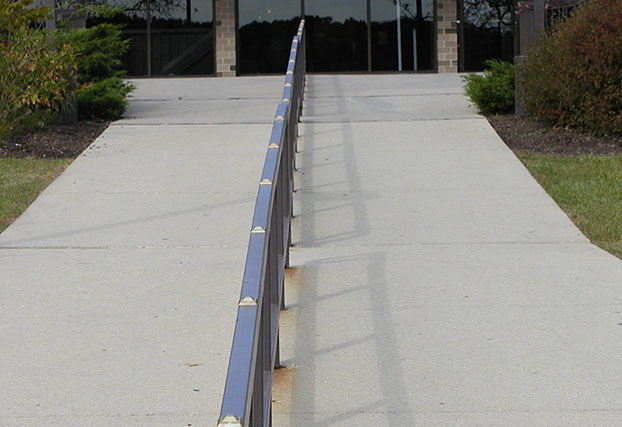 Handrail Minder for round handrails. Handrail Minder for flat handrails.